Yesterday I was Gushy Mom…but today, just call me Livid. Or Mamma Grizzly would work as well, too. The day began less than auspiciously when my internal body clock kept waking up before it was time to wake up. Throw in some nasty vertigo every time my head moves from side to side, and you have one grumpy, exhausted woman. Throw in some fibromyalgia-related back and neck pain due to a sleepless night, and I was more kin to a Grizzly Bear at 5am than I was to a human. Then came my epic attempt to wrestle her hair into another bun using a different contraption. This particular hair accessory actually looks like a medieval torture device. After arranging the hair into a bun, the device is supposed to slip over the bun so it can be twisted in a clockwise fashion until it stops at the scalp. Unfortunately, this accessory was designed for those who have average thickness to their hair. I’m sure it was a sight to behold as I crossed my eyes and stuck out my tongue and shoved her hair into the spiral, but you’ll have to take my word for it, because I didn’t take photos. 5am. Grizzly me before I’ve had my morning cup of Earl Gray. Be very glad I did not document that particular moment in time. 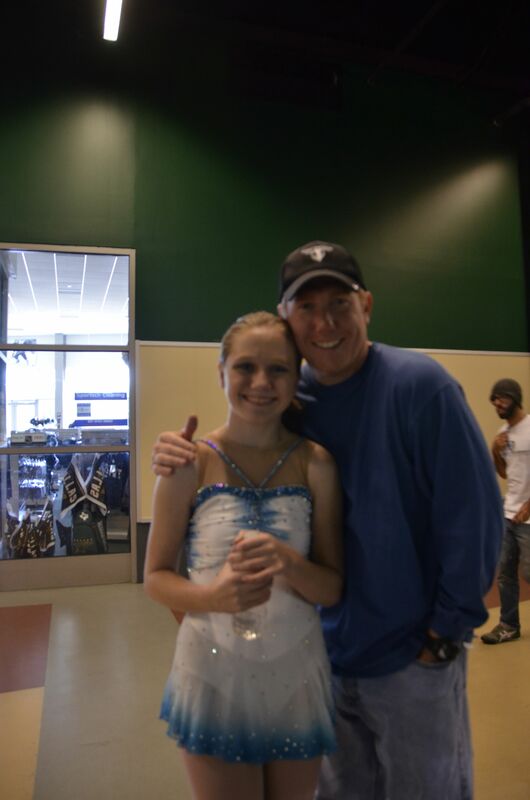 Her coach was unable to be at today’s competition because he was on an airplane on his way to his own competition. Yes, I know. Excuses, excuses. Anyway, after the quick lesson and loss of her bun we jumped in the car and headed to another suburb half an hour away…only to discover that the substitute coach had to find a substitute due to a schedule change. A substitute substitute? Ah well…we rolled with it. The sub sub was a sweet coach although she didn’t know my daughter from Adam or Eve. But she completed her warm-up with stretches and jumping jacks. 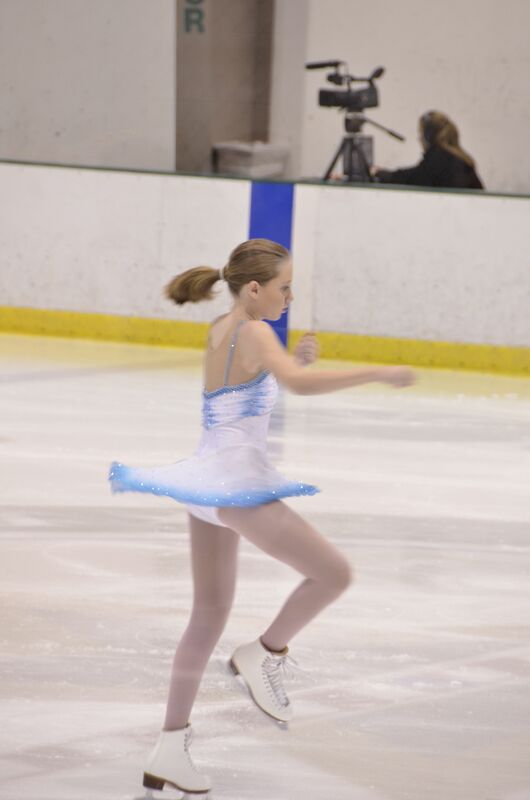 Then she performed her Big Daddy program — she was the fifth to skate out of seven total in her division — and did it better than I have ever seen her perform it before, to my untrained eyes, that is. You see, I am Mother. That means my child does no wrong, at least in terms of ice skating, because I don’t know how to judge what I don’t understand. I can edit her papers all day long, because I am rhetorical when it comes to writing. But I am ignorant in terms of skating, no matter how many times she tries to teach me. I will have to get on the ice myself before I’ll learn what to look for…and since my bones are about as brittle as, well, peanut brittle, I doubt that’s going to happen. 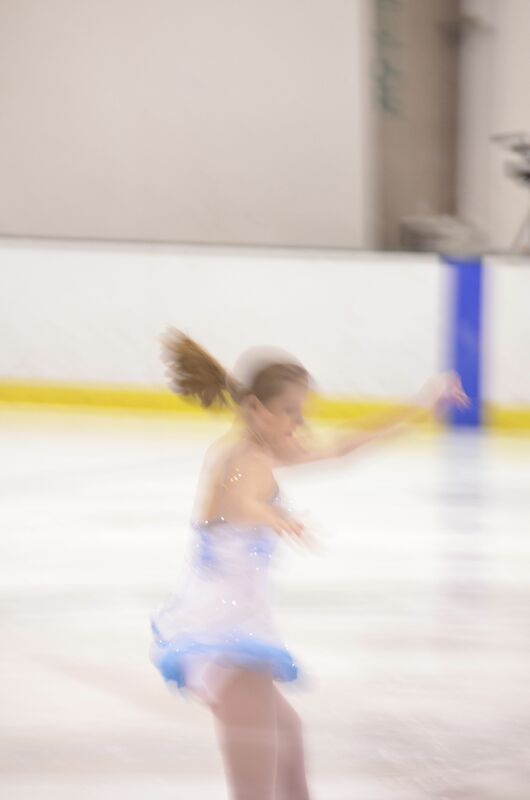 To me all the competitors skated well…but her spins seemed to have more rotations…her spirals appeared higher…her jumps looked higher. I know my Mommy Filter makes me a tad bit prejudiced, but even the substitute substitute coach said she did a great job. The original substitute coach also stopped by to say she thought she skated great. 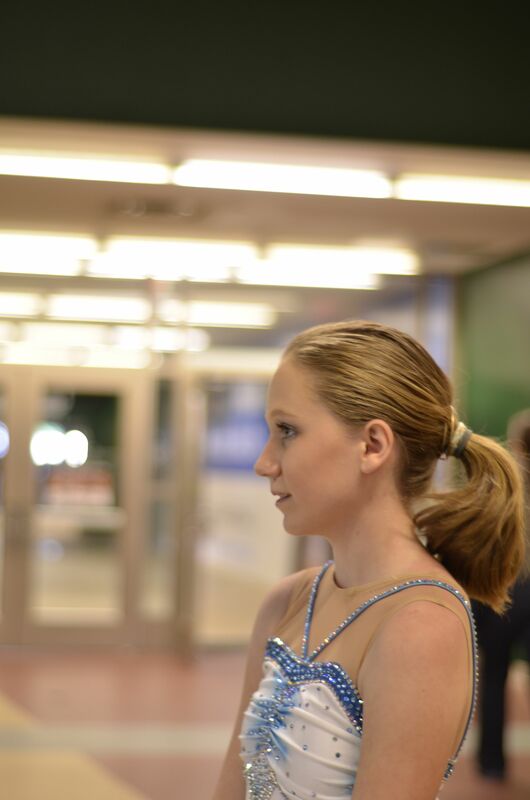 The smile on her face after completing the program was beatific, and she called her coach on the phone to let him know she skated her best ever. Only to find that the judges didn’t agree. She came in last place. Talk about a major mood swing! The frustrating part of it all is that we don’t know why. Suddenly I morphed into Mamma Grizzly. How dare they put my child last when my own eyes saw her doing her best ever? The perfectionistic beast inside me tried to come roaring out. The teacher in me wants a rubric — what did they measure and why did they rank her last? Did she do something that disqualified her? Or did she forget a part of her program? My lack of knowledge about the ice skating world is frustrating. I feel like a failure as a mom because I can’t even give her any constructive feedback. To me, she sparkled! She didn’t fall. She smiled. She had a moment, all to herself, where she was beyond elated. The apparent subjectivism of the judging drives me nuts. Did I already say that? No? I’ll say it again: the apparent subjectivism of the judging drives me nuts. I say “apparent” because I know the judges use SOME form of criteria…so show me the score sheet! How can a competitor improve without feedback? Ack! Okay. I’m feeling better now. The best (?) thing about today is my daughter’s attitude about her finish. Hmmm. Part of my heart breaks as I detect an attitude of self-flagellation in her words, but the other part of me is glad she is learning to take these things in stride. Who cares what three random coaches wearing judging hats thought about her work? 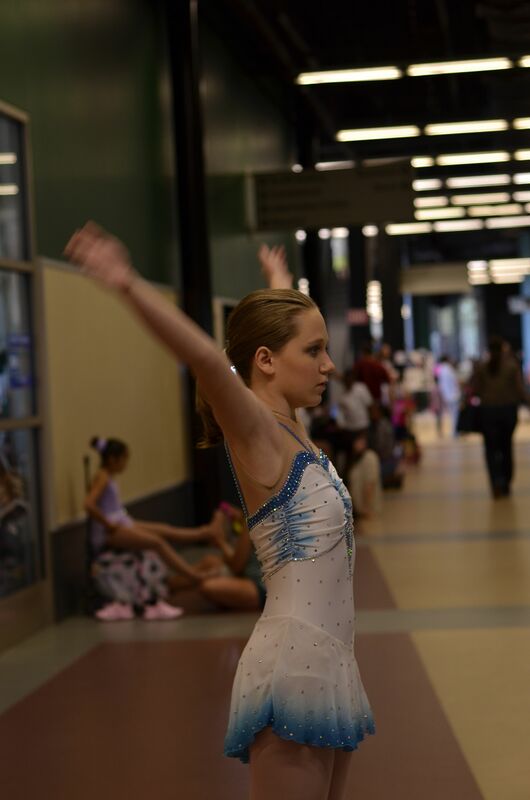 She knows and God above knows how hard she has trained and how well she skated, for her, regardless of comparisons with other skaters. I’m reminded that in heaven’s economy, last place is first place. As her Mamma Grizzly, she will *always* take first place for me. I guess today was, in her words, a true Epic Win(Fail?) kind of day. wow. That’s an Epic, Thank you, Jesus attitude in a sweet young skater. Waytogo, Mom.